EKTA world, real estate developers in mumbai was established in 1987. Contemporary in thinking and design, EKTA has grown brick by brick while making many happy homes along the way. 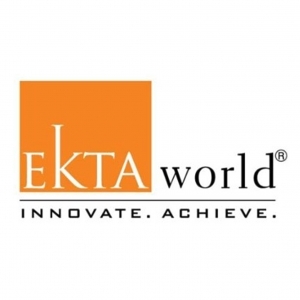 The team at EKTA world is constantly working towards creating memorable real estate projects complete with 2BHK, 3BHK and 4BHK flats in Mumbai and other cities in Maharashtra. Adding a zing of glamour and style to the city’s skyline, this group of real estate developers in Mumbai has not just built iconic structures but has also looked after the comfort and needs of its residents. This has gone a long way in building a strong reputation and goodwill amongst the discerning buyers and real estate companies in Mumbai and other cities in India. 04 lakh sq.ft. real estate properties with 2BHK, 3BHK and 4BHK flats in Mumbai every year. imagination and lifestyle of our customers across diverse segments. share its ISO 9001:2000 certification and the recognition garnered by American Quality Standards.